Buhrman, H. (2014). 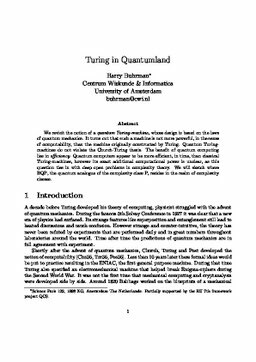 Turing in Quantumland. In Turing's Legacy: Developments from Turing's Ideas in Logic (pp. 70–90). Cambridge University Press.